Provide comfort for the family of Patricia Pizzoferrato with a meaningful gesture of sympathy. 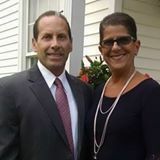 Patricia “Patty” (Caruso) Pizzoferrato, 60, long time Wethersfield resident, loving and cherished wife of Emidio Pizzoferrato, peacefully passed away Sunday, February 10, 2019 at home with her family at her side. Patty was born in Hartford, February 4, 1959, one of five children to John T. Caruso and the late Ann Mary (Mulé) Caruso. Patty attended Wethersfield schools, graduating from Wethersfield High School, Class of 1977. She was employed as an Executive Administrative Assistant at the Travelers Insurance Co. for many years. She cherished her time spent with family and friends, enjoying weekly gatherings, family trips, craft making, cooking and just being together. Patty loved to clothes shop, accumulating quite an extensive shoe collection, having a pair for any and every occasion. Forever smiling and always had a kind word. Her favorite and most tranquil place was the beach, where she could spend hours. In addition to her husband Emidio, Patty will be deeply missed and fondly remembered by her loving family, her father John; her son and daughter-in-law Michael and Michelle “Shelly” Pizzoferrato; her daughter Nicole Marie Pizzoferrato, all of Wethersfield; three sisters, Michele Eleveld with her husband Ron, of Windsor, Charlene Caruso of Cromwell, Johnna Cohan with her husband Adam, of Berlin; a brother Patrick Caruso with his wife Patricia, in Gilbert, AZ; four cherished nieces, Analiese Eleveld, Sophia Georgiades, Haley Cohan and Allison Caruso; her mother and father-in-law, Gemmino and Nancy S. Pizzoferrato of West Hartford; two sisters-in-law Lynn Dillon of West Hartford, Dawn Flanzer with her husband John, in FL; a brother-in-law Raymond Pizzoferrato of New Britain; two aunts and an uncle Corinda Rocco of Newington, Anna & Joseph Cassone of Wethersfield; as well as many, many cousins and close friends. Predeceased by her mother Ann Mary (Mulé) Caruso; her nephew John Georgiades; her brother-in-law Russ Dillon; and her aunt and two uncles Charles & Ann Mulé and John Rocco. Friends and relatives may pay their respects Thursday, February 14, 2019 from 4-7pm at the Farley-Sullivan Funeral Home, 34 Beaver Road, Wethersfield. A Mass of Christian Burial celebrating Patty’s life will be held Friday, February 15th at 11:30am in the Church of the Incarnation, 544 Prospect St., Wethersfield. Interment will be at the convenience of the family. 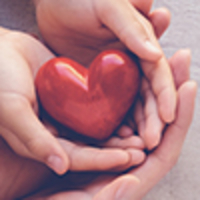 The family requests memorial donations in lieu of flowers be made to St. Jude’s Children’s Research Hospital, 501 St. Jude Place, Memphis, TN 38105. To extend online condolences and or share a memory, please visit farleysullivan.com. To send flowers in memory of Patricia "Patty" Pizzoferrato (Caruso), please visit our Heartfelt Sympathies Store. Poornima Varadhan, Diana Ackermann, and others have sent flowers to the family of Patricia "Patty" Pizzoferrato (Caruso). My deepest sympathy to Emidio and family on the loss of your wife and mother. I hope you are filled with happy memories of Patty and are surrounded by love. Sending thoughts and prayers to Emidio and family. I remember Patty's kindness and smile so many years ago. May your loving memories help you through this time of sorrow. My sincerest condolences to the family and friends. It is my hope you find comfort in the words at Psalms 147:3.